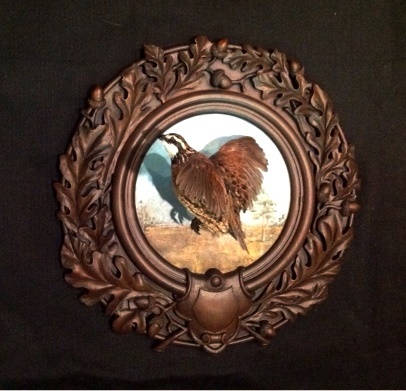 Handsome flying Bobwhite quail on oak leaf taxidermy panel accented with acorn and shield. A hand painted wild prairie scene has been added to the flat of the panel. 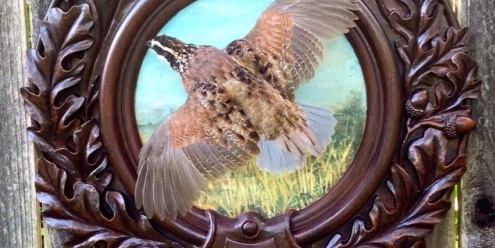 A taxidermy male quail has been added to make the 3D artwork come alive. This taxidermy panel is in the Black Forest finish. 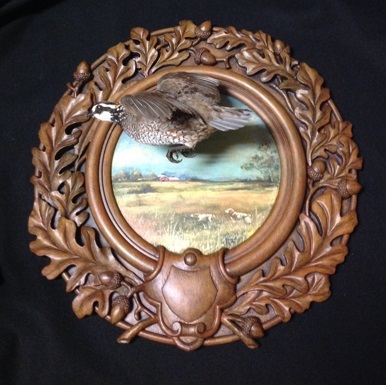 Handsome flying Bobwhite quail on oak leaf panel accented with acorns, oak leaves and shield. A hand painted upland prairie scene has been added to the flat of the panel. The painting is then antiqued with an umber glaze. 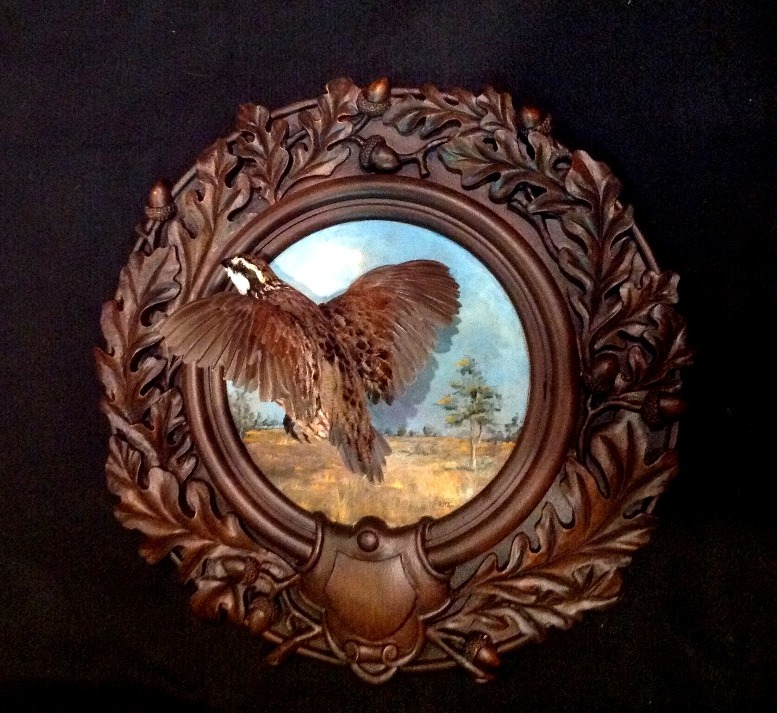 A taxidermy male Bobwhite quail has been added to make the 3D artwork come alive. This taxidermy panel is in the Black Forest finish. 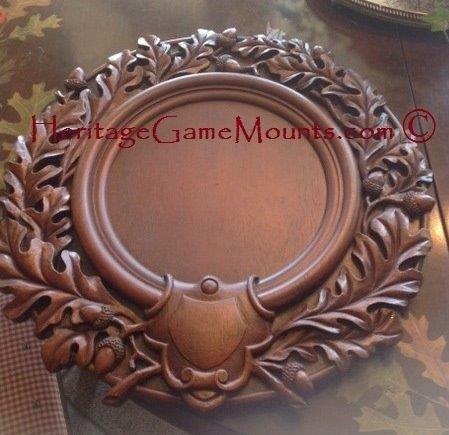 Our unique taxidermy panels compliment trophy mounts creating an elegant visual piece as well as a great conversation starter to share your story. All taxidermy panels are crafted in the USA. 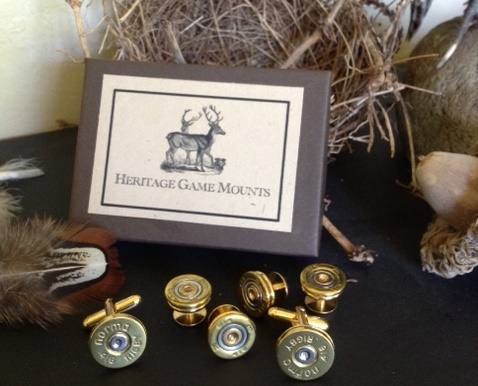 This item has sold, but we will be working on another soon, please contact us if you would like more information. Each is one of a kind. 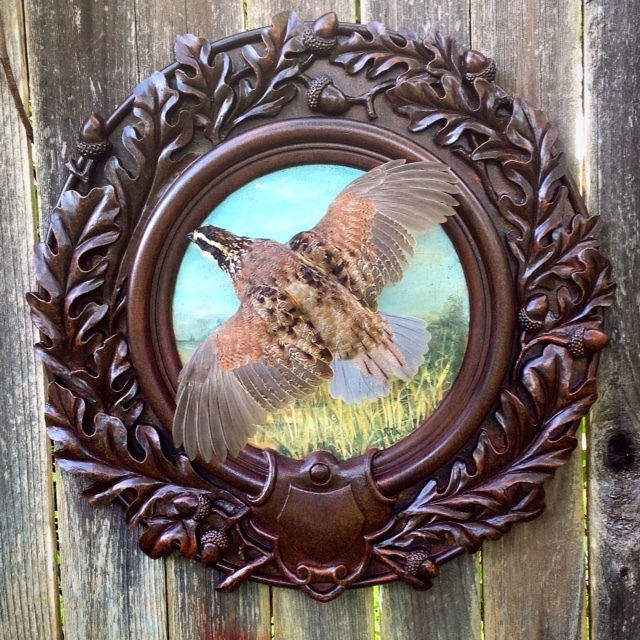 Be the first to review “Quail on Oak Leaf Taxidermy Panel” Click here to cancel reply.